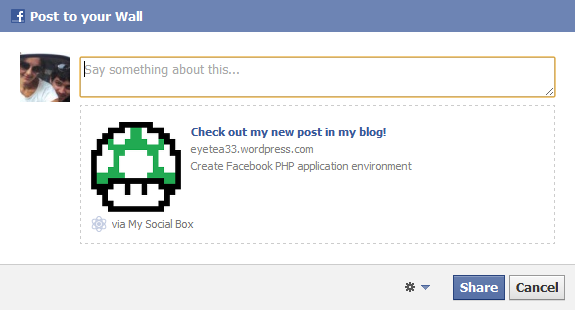 Share Button for FB WebApps — Now for sale in the Scirra Store! Thanks for this plugin. How would I add an image to the share dialogue and edit the share title/description(see below image)?